The value of life is not in its duration but in its donation. The donation of blood and thus, life is the greatest of them all. 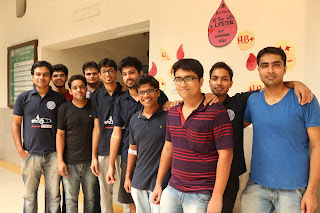 NSS IIT Roorkee organized a Blood Donation Camp on 13th September 2015 at IIT Roorkee Hospital, giving the students of IIT Roorkee a chance to do so themselves. The camp began at 9 AM with inauguration by Prof. Pradipta Banerjee, Director IIT Roorkee and Dr. D.K.Nauriyal, DOSW. IMA Blood Bank Dehradun, Himalayan Hospital Blood Bank, and Roorkee Civil Hospital, jointly handled the blood collection. 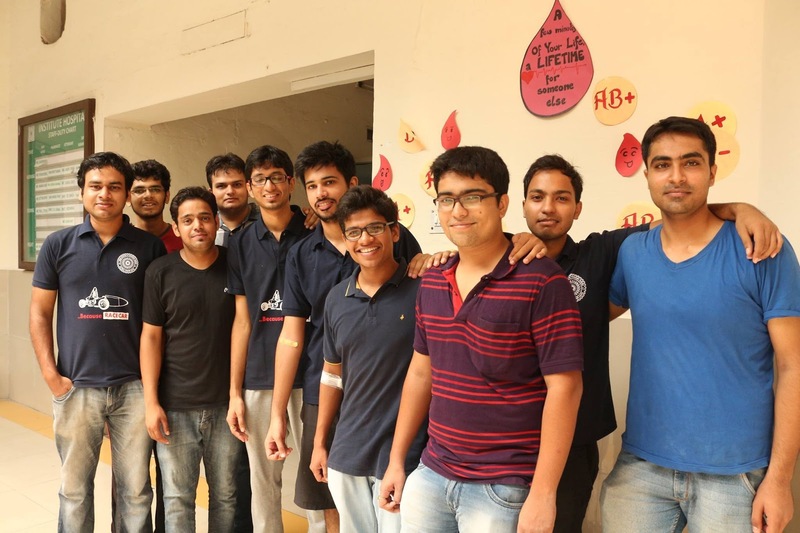 The process designed by these blood banks was very quick and quite simple for donors to follow. Donors had to first fill out the form of the respective blood bank. The haemoglobin level of the donors was checked and blood was collected in allotted wards thereafter. The donors were then allowed to relax for a few minutes and provided with refreshments.The donors were also given a memento and a certificate of donation as a token of appreciation. 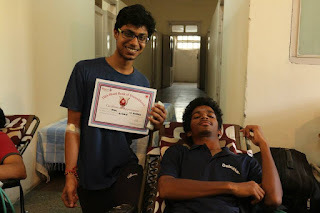 For many of the donors, this was their first blood donation and it was a very memorable experience for them. 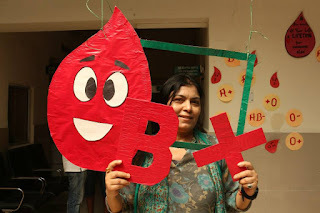 “Every suitable person should donate blood, not under coercion of someone but by following their own conscience.” said Dr. Smita Jha, Program Coordinator of NSS IIT Roorkee. The will to donate blood shown by the students was not deterred even in the scorching sun during the afternoon hours. The members of NSS worked hard in organizing this event. A positive feedback had been received from all the donors, even after waiting in a long queue to donate blood. Many of them took pictures as a memory of this event. The camp eventually concluded at 5 pm and all the donors left with a feeling of happiness and satisfaction. A new institute record of 1002 units of blood donated was made as a result of the promotions done and awareness created since a few days as well as the resolve of the donors. 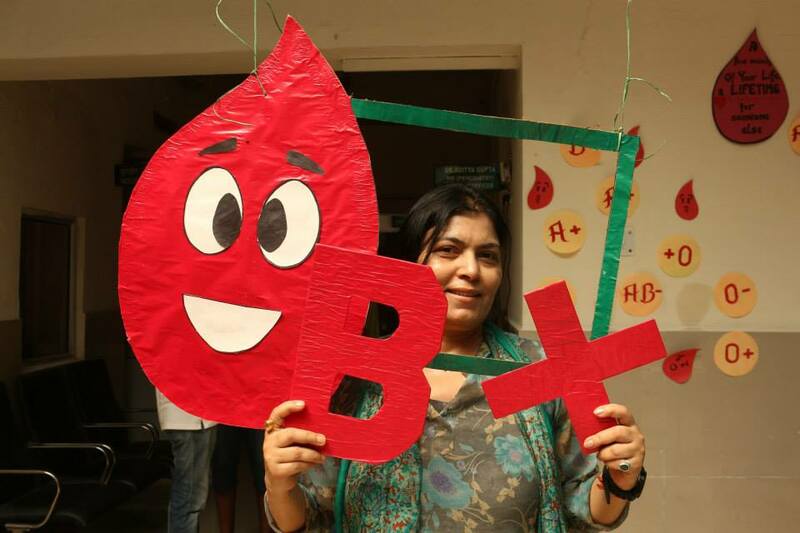 The staff of the blood banks congratulated the organizing team as their efforts towards the event were successful.